Home / Archive / New local stations drain STV finances but "perform in line with expectations"
New local stations drain STV finances but "perform in line with expectations"
Scottish broadcaster STV says its two City TV channels are performing in line with expectations, with the services reaching over 30% of consumers within their target areas. 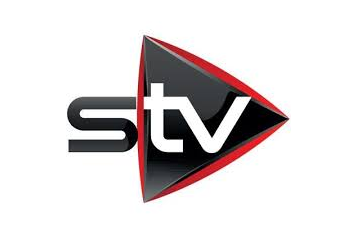 In the past 12 months, STV Glasgow and STV Edinburgh joined the growing number of local TV stations across the UK. Both stations feature local news, sport and magazine shows, plus reruns of Take The High Road. STV's latest financial results revealed that as a result of launching the new services, STV's short term profitability was impacted by initial losses of £0.8m associated with City TV rollout. Bosses at STV say STV Glasgow remains on track to break-even by the end of the financial year. Nothing was said about STV Edinburgh. In March, a new revised schedule was introduced on both City TV stations, resulting in STV Edinburgh and Glasgow sharing some output. Currently, both stations reach an average of 0.9 million viewers per month. STV hopes to move both City TV stations up the EPG on Freeview once BBC Three closes next year, providing the channels with a more prominent channel number. They are currently found on Freeview channel 23. Earlier this week, a syndicated late night gambling slot on both the main and local STV channels was abruptly pulled. Win Cash Live, which was also broadcast on selected local TV channels in England, announced on Tuesday that it was no longer going to broadcast on TV, leaving STV with a three hour hole in the STV Glasgow and Edinburgh late night schedules. STV has meanwhile won another three licences to run City TV or local TV services in Scotland, with services in Aberdeen, Ayr and Dundee being prepared for a future launch.